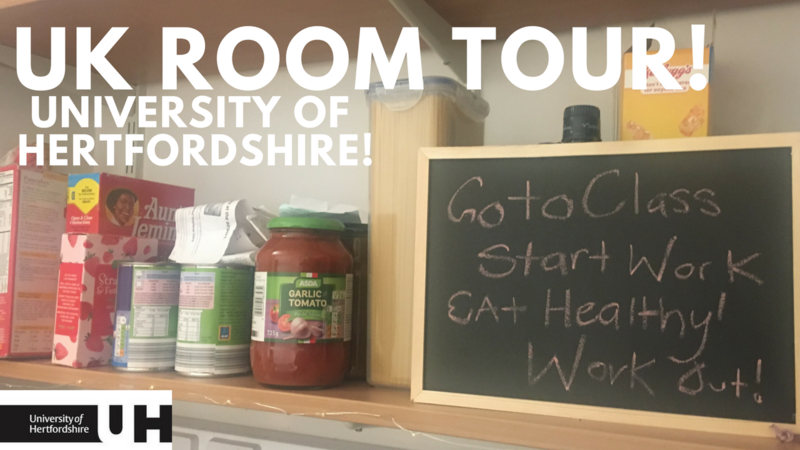 Hertfordshire Room Tour is UP! As I am writing this blog, it is 12:40am Saturday Feb, 10, 2018 in the UK. However back home it is till Friday, so I kind of feel on time with my post. This room tour video is kind of long; just under 15 minutes. But this video is one of my favorites because it includes a lot of content within it. From when I had first arrived to a couple weeks later. I made this video for myself and other people who might be considering studying at the University of Hertfordshire. I am staying on De Havilland campus in the building Watton. I give just a few tips and what I do/ don’t like about the room. I am going to try and post another video on Monday. I think I like the idea of posting Monday and Friday. I will see how I do. Check out my video on youtube and give me some feedback. Thanks for reading and watching!